The U.S. health care system will soon face significant turmoil and disruption as the new Republican President Donald Trump and new Republican majorities in the U.S. Senate and House of Representative attempt to fulfill their repeated campaign promises to repeal and replace the Affordable Care Act (ACA; aka ObamaCare). At stake is affordable health insurance for some 22 million Americans who have obtained it because of the ACA, as well as other protections such as the law’s elimination of pre-existing condition requirements for many millions of American consumers. Also at stake are the numerous ACA provisions that seek to transform U.S. health care financing away from wasteful fee-for-service reimbursement and toward so-called “value based” payment models. Many other vital provisions would also be lost with complete ACA repeal, such as the entry of so-called “biosimilar” biopharmaceutical drugs into the U.S. pharmaceutical market. In truth, Republicans’ rhetoric to repeal the entire ACA statute does not match their actual intent, which is to repeal only the most politically charged provisions, particularly those relating to health insurance coverage expansions for low and moderate income Americans and the associated tax increases used to pay for them. Full repeal of the ACA, even if pursued, would not attain the needed 60 votes for passage in the Senate in which Republicans, come January, will occupy only 52 seats and every Democrat will oppose repeal. Republicans can move faster to achieve repeal of their key ACA targets by using a special legislative process known as budget reconciliation that permits legislation to pass with only 51 votes and not be subject to filibuster. This tool, however, only applies to clear federal budget related matters, making large portions of the ACA not repealable through this process. This past January 2016, the Republican controlled Senate and House sent to President Barack Obama’s desk legislation enacted under budget reconciliation rules that would have repealed both the coverage expansions and their financing. 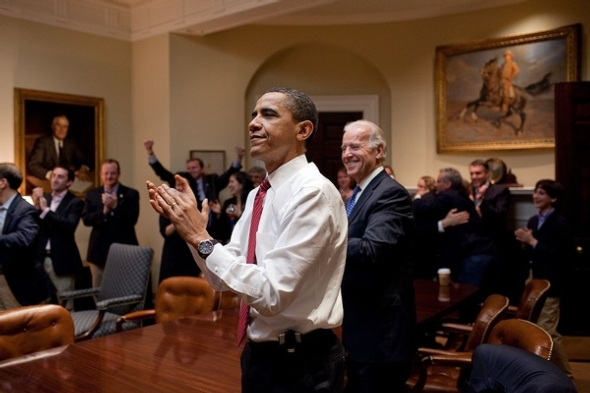 As expected, the President vetoed this legislation and his veto was not overridden. But the exercise had value for Republicans as a dry run for repeal legislation they can now attempt to fast track to the desk of President Trump who would be expected to sign it into law. The reconciliation process, still, has its own cumbersome features and it would likely take months, rather than weeks for Congressional leaders to rush such a bill through the process. This past September, House Speaker Paul Ryan indicated his intention to use the reconciliation process to jumpstart ACA repeal in early January. Their stated goal is to “repeal and replace” the ACA, and the reconciliation bill appears to be the “repeal” part of two phases. Taken alone, the “repeal”/ reconciliation part would result in a loss of coverage for 22 million Americans, as estimated by the U.S. Congressional Budget Office (CBO), eliminating all the progress made through the ACA since 2014. To avert an immediate catastrophe for the 22 million, Republicans indicate that the repeal of ACA coverage provisions would be delayed by, perhaps, up to two years. Democrats have learned the hard way about the misnamed “Pottery Barn” rule as it pertains to health care: “if you break it, you own it.” For the past seven years, Democrats have owned every piece of bad news relating to U.S. health care and coverage, deservedly and not. Though the ACA is a complex and at times shaky instrument to reform the maddening U.S. health care system, it has largely achieved its central objectives to reform and expand health insurance and to move U.S. medical care delivery toward value-based financing models. Over these past seven years, Republicans have united and distinguished themselves through their opposition to the ACA, not in relation to their replacement plans. They are now close to the threshold of breaking the U.S. health care system dish by themselves. They will own the consequences in ways that should give reasonable persons great pause.